Neerulli/Onions/Kando in Kannada/English/Konkani. Onions go into anything except maybe coffee and tea ! Here now is rasam whose main ingredient is the onion. It is simple to make and very tasty, should have put up long ago. A great combination with rice and papad. 1. Wash, peal and chop onions, tomato, grate coconut and keep it aside. 2. Place a spatula with 2 teaspoons of cooking oil in it on low flame and fry coriander seeds, cumin seeds, fenugreek seeds and lastly add red chilly too and fry in it. Later on add fresh grated coconut and fry till done. On cooling grind it in the mixer adding water in steps to a fine consistency. 3. Place a skillet with 2 teaspoons of cooking oil in it. On heating fry chopped onions and tomatoes adding a little salt till tomato is mushy and onions are fried but not burnt. 1. 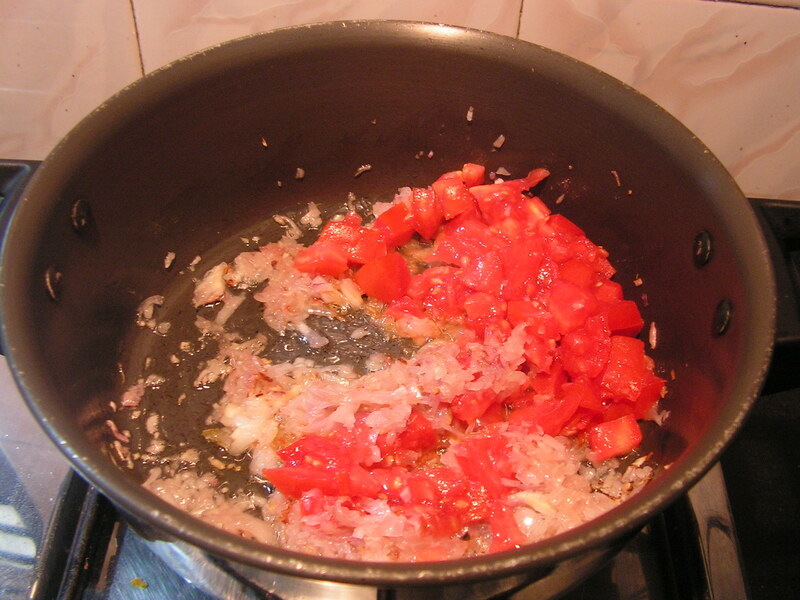 Onions and tomatoes should be chopped fine to fry fast and to release the aroma as well. 2. Masala should be grind fine to bring it to the required thin consistency. 3. There is no need for seasoning since onions are already fried well. 4. This rasam is good for a person who has recovered from an attack of severe cold and tasteless tongue.. 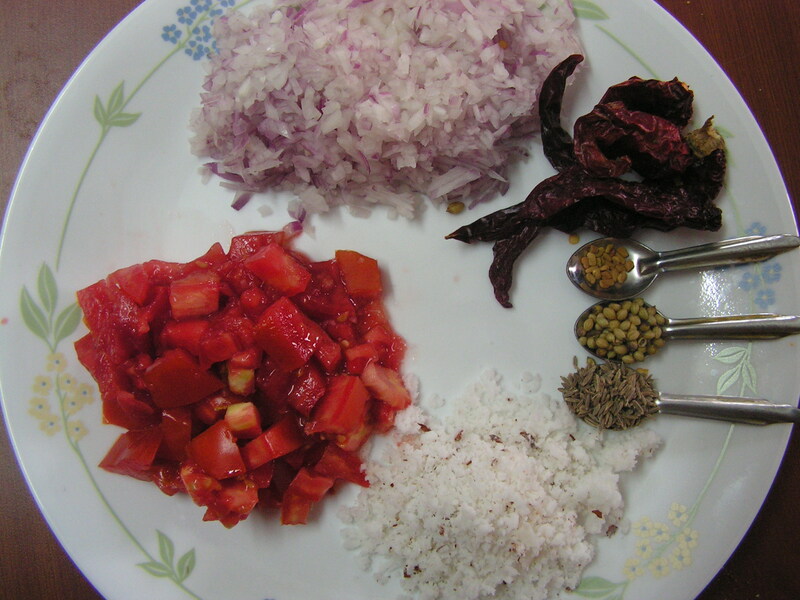 This entry was posted in Uncategorized and tagged Lunch side dish, Rasam. Pineapple is a seasonal fruit and now available in plenty for 2-3 months of a year. It is available in huge sizes which ranges from 5-6 K.G by weight. It is sweet-sour in taste, but the ripened variety is so sweet that we need no sugar at all while we prepare juice /milkshake. I have already put up pineapple pudding, mango-pineapple sweet sour dish (ambo anannas sasam) and would like to put up pineapple rasam which really tastes great with rice and a spicy curry. It is very simple and easy recipe. Why don’t you give a try? 1. Wash and peel pineapple, and chop it into 1-2″ pieces and keep it aside as shown in image-1. Also wash and slit green chilly, wash and chop ginger too. 2. Cook chopped pineapple in a separate vessel on medium flame till soft. 3. Soak toor dal in the cooker with turmeric powder and a little oil and cook it as usual for 20 minutes till soft. Transfer it to a cooking bowl and cook it with slit green chilly, chopped ginger from step-1 on low flame. 4. Add cooked pineapple pieces from step-2 to it and add required quantity of salt, rasam powder, water to bring it to the required pouring consistency and boil it on low flame. Squeeze lemon juice to it if the fruit is very sweet to get the tangy flavour to the dish. 5. Place a spatula with 2 teaspoons of cooking oil on low flame. When hot, add mustard seeds and cumin to it. When it splutters, add broken red chilli pieces, asafoetida powder (hing) and curry leaves to it. The seasoning is ready now. 6. Season it to the boiling rasam from step-4. Close it with a lid. Serve hot with rice and a spicy side dish. Yummmmmmmmmm!!!!!! 7. Just pour it into a bowl on cooling. It can even be sipped cool!!!!!! 1. Ideally, pineapple should be just ripe for the dish. Extra ripe fruit will spoil the taste of the dish. 2. Sweet-sour variety will be a better option so that Lemon can be avoided. 4. Should be served with a spicy side dish like the potato song, a Konkani specialty or any other spicy dish of your choice. This entry was posted in Uncategorized and tagged 30 minutes, Lunch side dish, Newbee, Rasam. 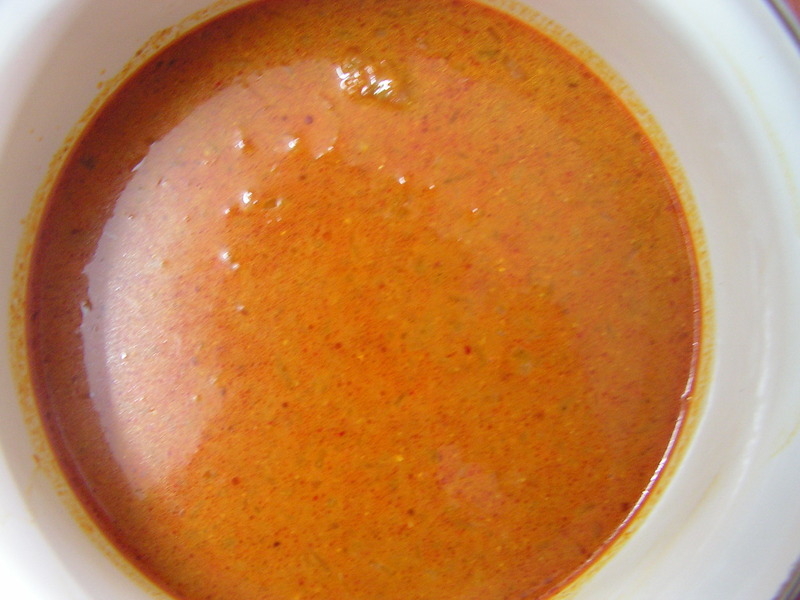 This rasam is very simple and easy to prepare and a good recipe for the starters. We do not use any powder as such for this dish – the aromatic seasoning of fresh curry leaves, garnishing with fresh cilantro and using quality Toor dal for the dish will enhance the flavour and satisfy the palate. Here it is. Do give it a try !!!! 1. Soak dal in water for about 15 minutes and cook it as usual in the cooker till soft and is as shown in the image below. 2. Wash and chop tomato into bite size pieces. Place a broad based bowl on medium flame and allow it to cook till soft in around 2 cups of water. Add slit green chillies to it as well. 3. When done add cooked dal from step-2 to it and stir well adding required quantity of salt to it. Now add chopped ginger as well to it and bring it to boil. By now tomatoes will have cooked and mashed well into it. One can crush it with the dal beater too. Squeeze lemon juice as well to it. Add chopped coriander leaves to it. 4. Place a spatula with 2 teaspoons of either cooking oil or pure ghee into it on medium flame. When heated toss in mustard seeds, cumin, together. When it splutters add broken red chilli pieces and curry leaves to it. Switch off the flame and use it to season the dal tomato mix. 1. Use quality toor dal to enhance the flavour of rasam. 2. Always use ripe pulpy and fresh tomatoes . 3. Do not burn the seasoning, as it will stink rather than giving a nice aroma. This entry was posted in Uncategorized and tagged 45 minutes, Lunch side dish, Rasam, Soups. I have already put up the normal Tomato Rasam using Rasam powder with Toor Dal. But today I would like to put up yet another Rasam which is prepared with a little masala, without dal and yet really very tasty. This rasam is prepared in most of the temples for pooja food and is also a must in most of the weddings in Coastal Karnataka. Its a great combination for rice/curry/papad. It is also called “Devasthana Saru”/”Devala Saru”. 1. Place a spatula with 3-4 teaspoons of cooking oil in it on low flame. On heating, add bengalgram dal to it. When fried add coriander seeds, cumin seeds, fenugreek sdds, asafoetida, one by one. Add red chillis, curry leaves to it and fry for a while. Add grated coconut and fry till it turns light brown in colour. Finally add turmeric powder, tamarind and switch off the flame. Fried ingredients is as shown in the image below. 2. 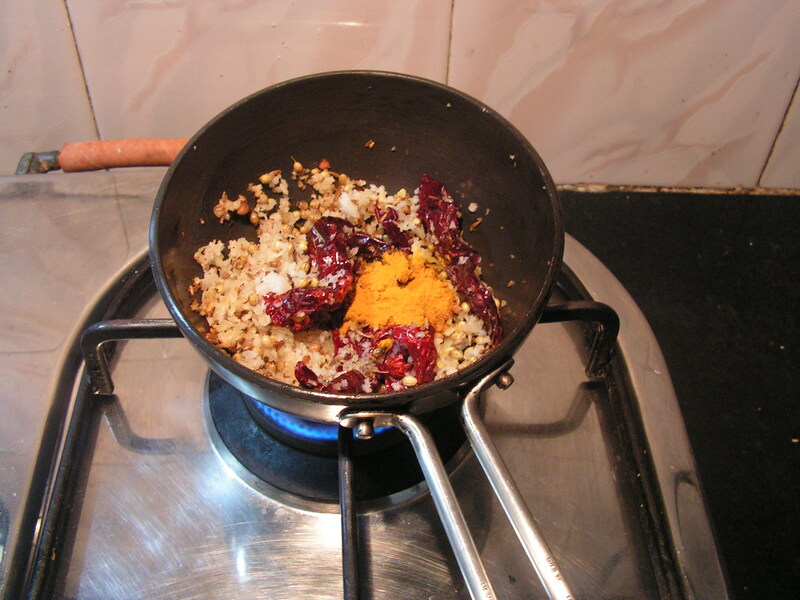 Grind the fried ingredients on cooling in the mixer adding water in steps to a medium fine consistency and the masala is as shown in the image below. 3. Place a broad based bowl on the flame with 2 cups of water with chopped tomatoes. Cook it till smooth. 4. When tomato is cooked add the ground masala from step 3 to it and add sufficient quantity of water to bring it to the required consistency. Add required quantity of salt, one or two strands of tender curry leaves to it and jaggery if required and bring it to boil. Finally add chopped coriander leaves and switch off the flame. 5. Place a spatula with 3-4 teaspoons of cooking oil in it on the flame. When heated add mustard seeds to it. When it sputters add fresh curry leaves to it. Switch off the flame and season it to the Masala Rasam. Serve hot with rice and papad. yum enjoy!!!! This entry was posted in Uncategorized and tagged Gravy, Rasam. 1. Wash and puree tomatoes in the mixer and pour it in a bowl. Slit green chilly lengthwise and add it to the purreed tomato. Also add tamarind to it. 2. Wash Toor dal and add 1/4 Teaspoon Turmmeric powder, a few drops of cooking oil, sufficient quantity of water to it. Put it into the cooker and place the tomato puree bowl in the cooker itself and cook it as usual for about 20 minutes till the dal is cooked. 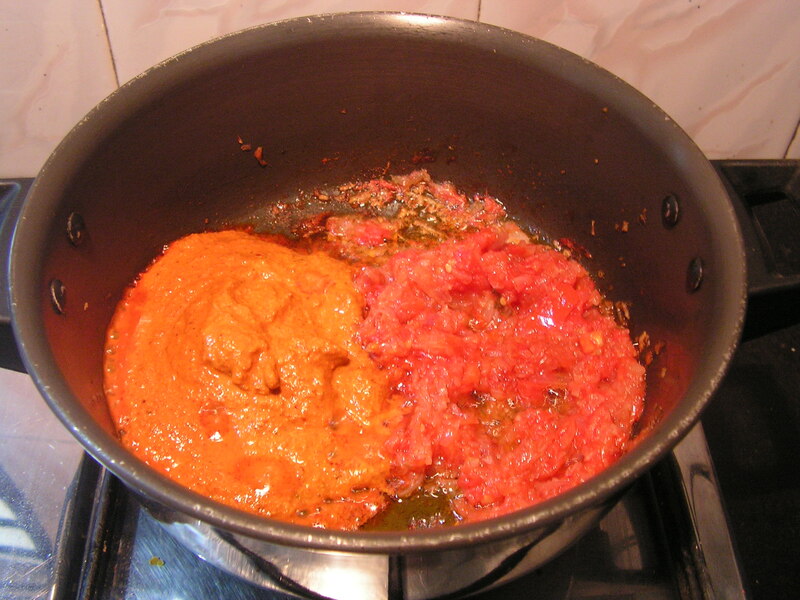 3.Transfer cooked dal, pureed tomato to another bowl and mash it well. 4. Mix 2 Teaspoons of Rasam powder (see my earlier post for recipe) in a cup of water and add it to cooked Dal. Dilute it to the required consistency. Add sufficient quantity of salt, sugar a pinch, a tender string of curry leaf and bring it to boil. 5. Place a spatula on flame with 2 teaspoons of cooking oil in it. Add mustard seeds, on sputtering add red chilly pieces , asafoetida powder and lastly curry leaves to it. Add the seasoning to Rasam. Garnish it with chopped Corriander leaves. Ready to serve Rasam is as shown in the image below. Serve hot with Rice. 1. Tomatoes can even be cut fine if can’t be pureed. 2. The quantity of water depends upon the quality of dal used. If quality is not good then one can’t add much water, hence taste and then add accordingly. 3. Adding curry leaves while boiling gives enhances the flavour of the dish. This entry was posted in Uncategorized and tagged 45 minutes, Lunch side dish, Rasam.